The Lake District Trip helicopter rides are available from Greenlands Farm Village, Carnforth and are taken as either a 15 or 30 minute helicopter flight. Both routes cover areas of outstanding natural beauty within the Lake District National Park. The captivating seascape views of Morecambe Bay’s headlands and promenades, that stretches from Haverigg in the north to Fleetwood in the south, embracing towns such as Morecambe and Lancaster. 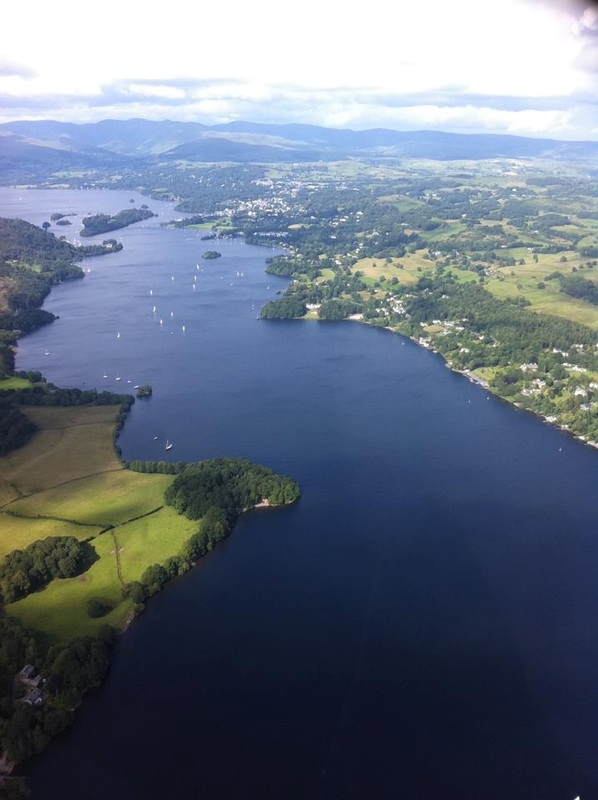 You will also cover the extensive Lake Windermere, being 10.5 miles long, 1 mile wide and 220 feet deep, it is the largest natural lake in England, fed by numerous rivers. 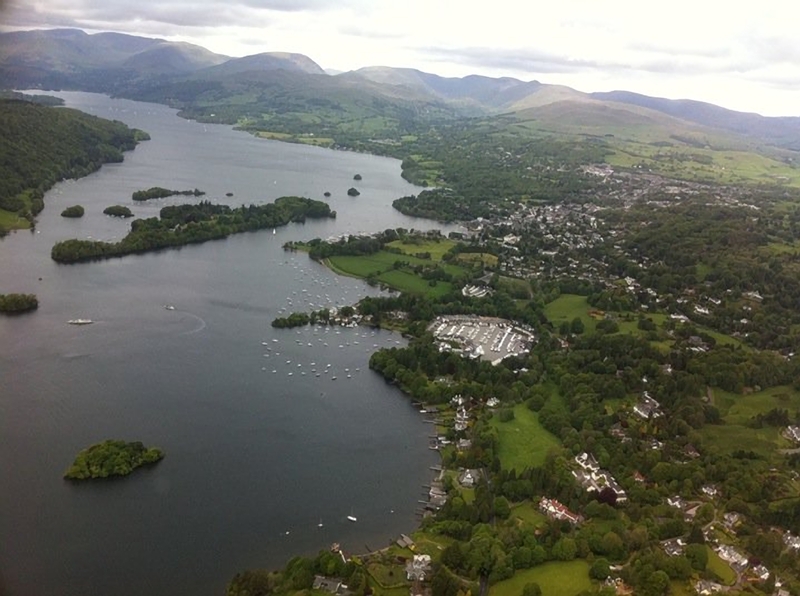 The sprawling town of Bowness can be viewed, situated halfway along on the shores of Windermere, between Waterhead at the Northern end, and Lakeside at the South. The privately owned Belle Isle can be seen and is the largest of Lake Windermere’s 18 islands, the only one ever to have been inhabited. Newby Bridge is a small village, at the southern end of Lake Windermere, with the River Leven running past. In 1651 Newby Bridge had a five-arched stone bridge built across the river which is where the village name is derived from. 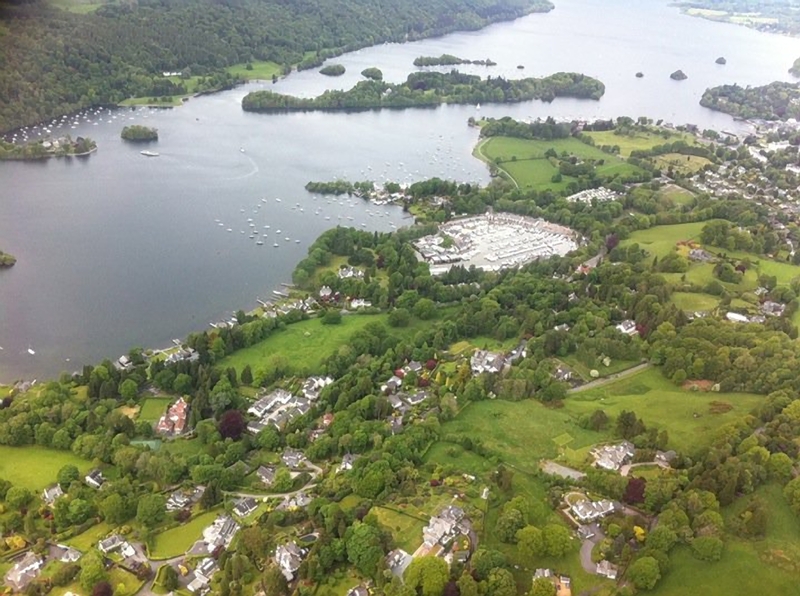 This area is famed for its super hotels, the Swan at Newby Bridge, Storrs Hall a luxury hotel set on the eastern banks of Lake Windermere and others including the Low Wood and the Samling which all take advantage of the stunning views over Windermere. 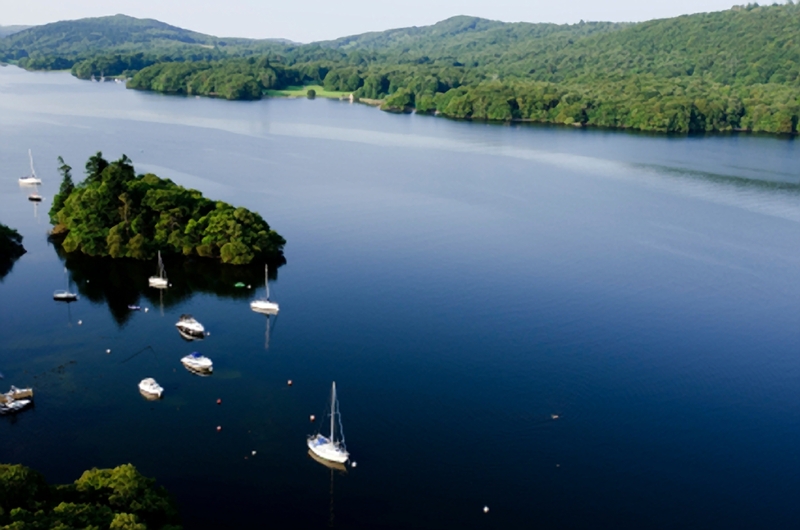 There is a large Marina at Bowness and you see spectacular panoramic views of the Furness Fells to the west which have inspired the work of Beatrix Potter, Ruskin, Wordsworth and many others, before reaching Ambleside at the far north of Windermere. This flight is also available as a 45 minute flight for group bookings.